← But, Weight! There’s More! This past weekend mom and I made the trek back to the ancestral homeland. Not northern Europe, but eastern South Dakota. It was the occasion of the annual Mohror family reunion. For many families, such gatherings are days-long events. By contrast the Mohrors, in keeping with their (allegedly) German heritage, practice brisk efficiency. The reunion commences at noon with a tasty potluck lunch, followed by a short business meeting (I know; I don’t get it, either), a group photo of the oldest generation, and general dispersal. The whole thing is over by a little after 2:00 pm. This is slightly disappointing for my branch of the family tree, who drive four hours to get there. But it’s always nice to see our kin, for however brief a time, and since we were locked into an overnight reservation at the world-famous Pheasant Hotel, we had plenty of time to explore the wellspring of the Mohror tribe – Arlington, South Dakota. 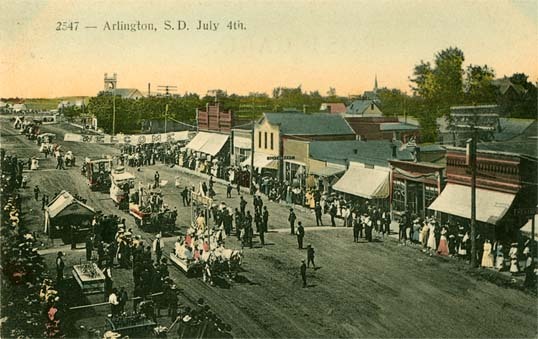 Arlington was founded in 1880 and was originally called Nordland, with all streets given Norwegian names. It was briefly – and inexplicably – renamed Denver, but the postal service frowned, so the town fathers decided on Arlington (since there are no other cities named Arlington in the world, I guess). I don’t know what caused the Norwegians to lose their Valhalla on the prairie, but I imagine it was a bitter day when Olaf Street was renamed Main Street. 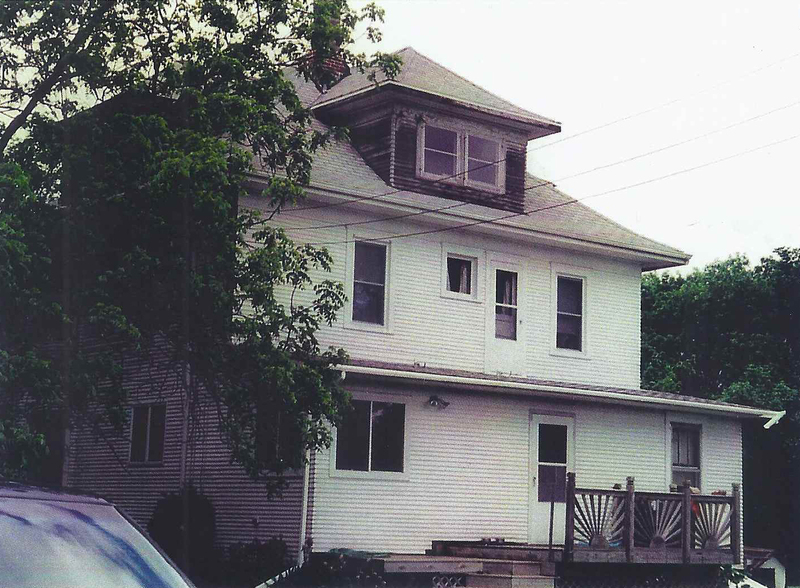 My great-grandparents ordered this home in a kit from Sears Roebuck. Family legend has it they later lost the place in a poker game. The Mohror tribe came to Dakota from Iowa, I believe, though the circumstances of their migration are hazy. On my mother’s side, the clan fled west from southern Minnesota during the Sioux uprising of 1862. Seems like heading back east would have been the more sensible course, but my folk have never had much of a sense of direction. Ella Flora Oliphant was the daughter of Daniel Salley, patriarch of the Salley clan. Thanks, ancestry.com! 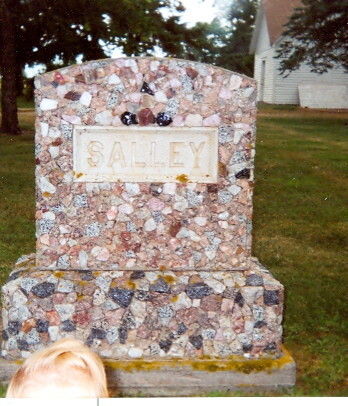 Next to the Salley headstone is a tall, stone obelisk. “Oh, there’s that Oliphant!” my mother exclaimed, and I looked around wildly for some unusual species of pachyderm. “Mom always insisted on putting flowers on that grave, since they’re supposed to be some kind of relative. But nobody knows who they are.” God bless, Oliphants. Gone but not forgotten. Well, gone and forgotten. But be-flowered, at least. 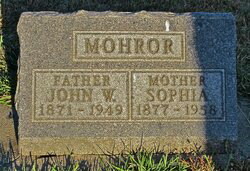 The Mohror dead are some distance away (perhaps the Protestants and Catholics are separated by distance, even if they don’t have their own exclusive graveyards). We are humble, unassuming people, and this is reflected in the simple headstones our forebears bear. However, a scion of some other branch of the Mohror tree has recently erected what can only be described as a Grand Edifice to himself (he’s not in residence yet, but apparently wanted to save his spot). I gather he made a fortune in almonds out in California. Seems fitting. I’ve always said we’re all a little nuts. Hah! We’re all a little nuts? Understatement! Love this minitour of Arlington, SD. You are hillarious Kerri – truly loved this – thanks for making me laugh!